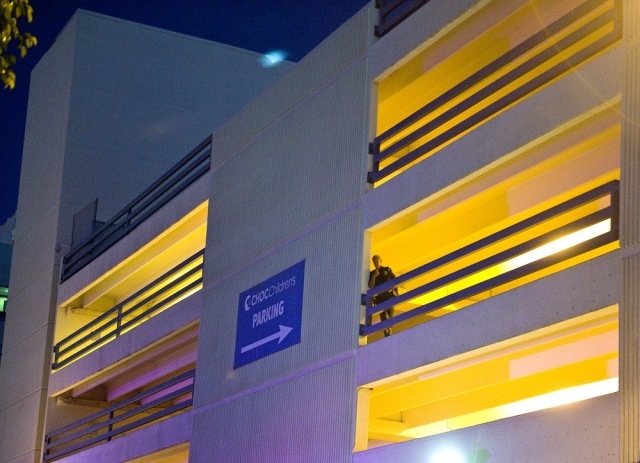 A police officer surveys the parking structure at Children's Hospital of Orange County in Orange, Calif. on Monday. Sgt. Dan Adams said the infant fell from the second story or higher.